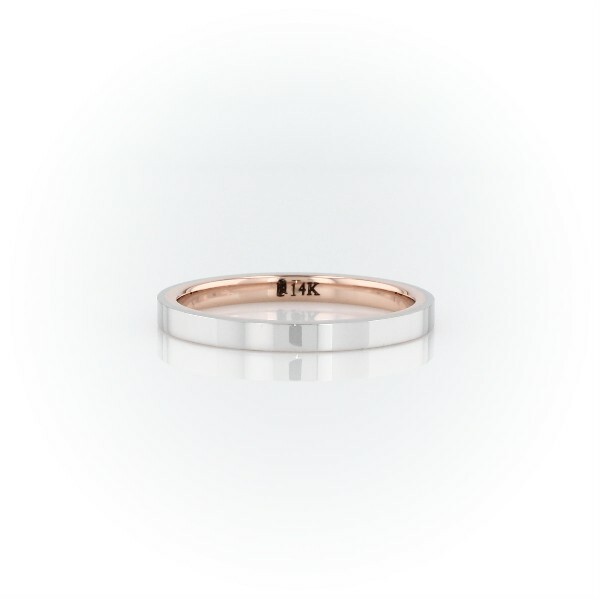 Romantic rose gold joins white gold in a two-toned, thin and softly curved profile that's built for everyday wear and lasting comfort. The gently curved interior creates the ideal fit, and the streamlined appearance looks both classic and modern. The high polish finish will develop a beautiful patina with wear. A perfect match with stock number 70924.